Sometimes you get a fault with a console and you think something isn’t plugged in right. But try as you may you just can not and will not be able to find a solution. There is a fault. This could be expected with a reconditioned or boot sale bought machine. But what if the console is new? I have been there! It’s an incident that effects the (mostly) newer consoles. The more advanced the machine it seems the more possibilities for things going wrong. Just as disks saw more faults than cartridges, so to do today’s super computers inside our consoles have more issues. Today we go Retro Modern and look at some pretty big manufacture issues. Firstly the PS4 and its (slightly less famous than the next entry) Light of death. This one is blue. It plagued the PS4 launch back in 2014. It’s still unknown as to if it was caused by a faulty software update or some of those early machines were simply faulty but it was the last in a long line of early adopter faults. I was lucky not to receive this error in my earliest reconditioned PS4. But it did end up going back. The issue was the console randomly freezing and resetting. The pain here was trying to demonstrate the fault in Game when they tested the console. I also stupidly left my PSN account on the machine (I needed to be able to load a game to demonstrate the fault). Thankfully the store replaced the console. Back to 2009 and the console with high (possibly as high as 54.2%) failure ratio was the 360 Microsoft’s second stab at a games console. 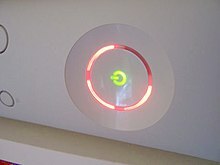 Nobody really knows what caused the dreaded RROD (red Ring Of Death) but it is a problem that ended u costing Microsoft dearly. I remember following an Internet guide and putting towels around my RROD Xbox 360 thinking this would solve the problem. It used to but sadly only temporally. Once the RROD occurred it was only a matter of time. Thankfully the console was under warranty and although I hated the faffing.. It went back. The second console never displayed signs of the RROD.